A special offer for the Spring Birthday Celebration! in special Lent Menu at Terrace restaurant. 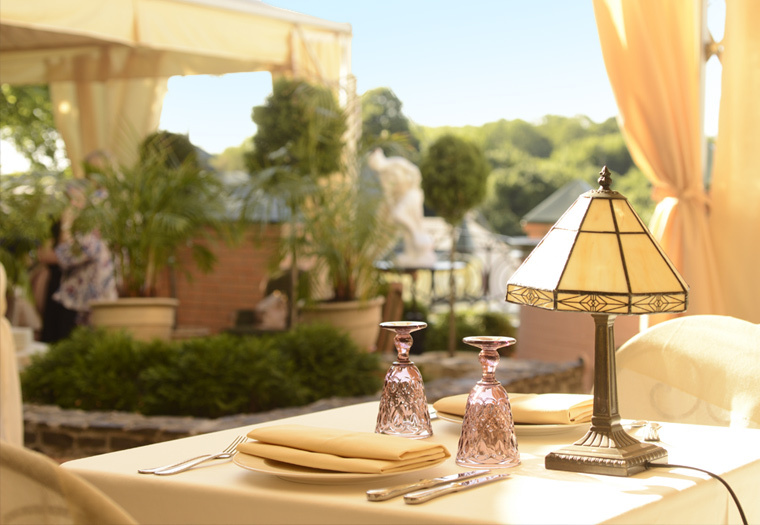 The Terrace restaurant of the Vozdvyzhensky Boutique Hotel attracts guests with the romantic atmosphere, cozy nooks with little tables in the garden and deserved reputation of the “tasty” restaurant. The chef of the Terrace restaurant Anton Timchenko offers gastronomic delicacies. 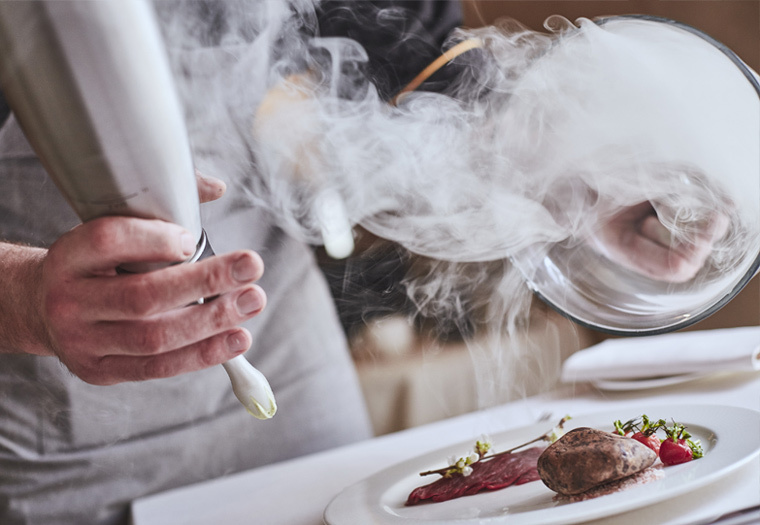 The chef’s specialties are always a fresh palette of tastes presented in modern Ukrainian and European cuisine with an overtone of Scandinavian one. Creativity and aspiration to perfection are the principals that allow presenting gastronomic masterpieces to our guests seasonally. The à la carte menu is represented in summer and winter variants and always with seasonal novelties. 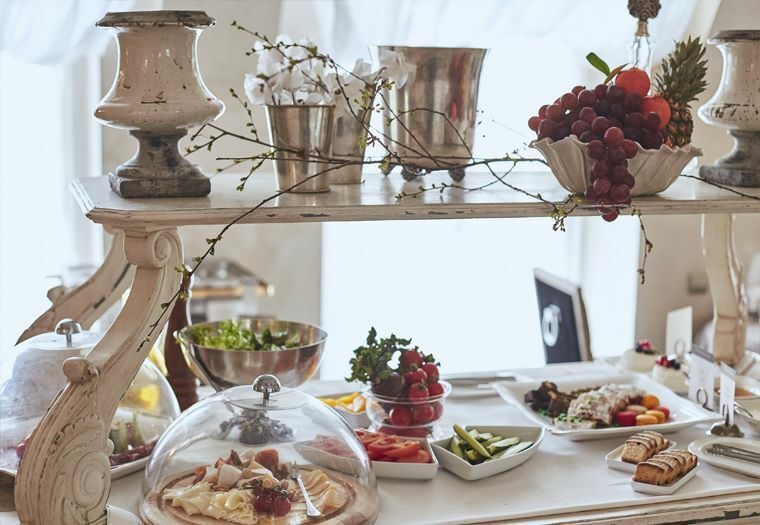 You are obliged to try the specialty snacks being creatively adorned and having new tastes: such as a smorrebrods – open Scandinavian sandwiches or Magre Duck, pear tartare with hints of truffle and mango coulis. Enjoy Ukrainian Beetroot vareniki stuffed with a pike cheese mousse or Chicken Kyiv stuffed with green butter and pike caviar, served with an onion puree, smoked baby potatoes and our juniper demi-glace sauce. Seductive desserts like Anna Pavlova or handmade Kyivsky mini cake will perfectly contribute to the main courses and become the memorable sweet note of the evening. In the morning the hall of restaurant invites guests to a fresh buffet breakfast. The complaisant personnel will offer fragrant coffee and various snacks; the cook will prepare traditional hot dishes upon your request. The light chamber hall of the restaurant disposes to a cozy and slow feast, where the pleasant atmosphere and the love for the guest felt, and there the details are decor attentive. The mood is created by expressive etchings of the famous Ukrainian artist Pavel Makov and pleasant music. Effective elements in an interior is a snow-white drawer of the Mis-en-Demeure brand, silver setting objects of the French brand Roux Marquilland, antiquarian color glass behind a bar counter. 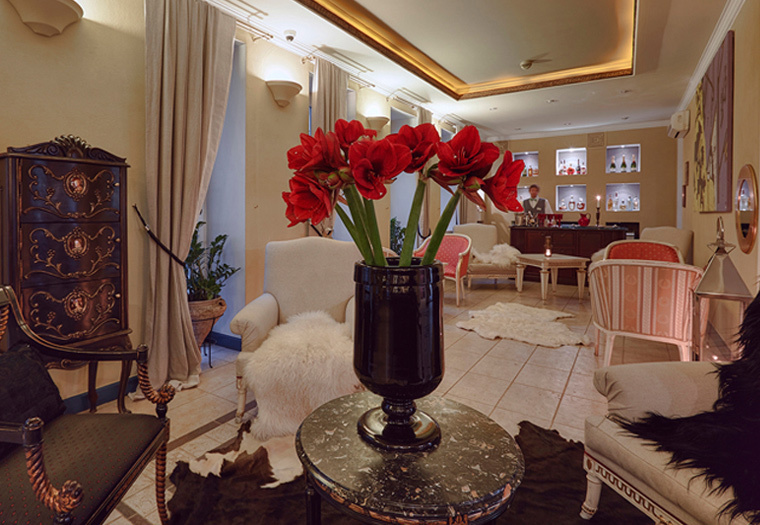 In the evening lit candles create a romantic mood.